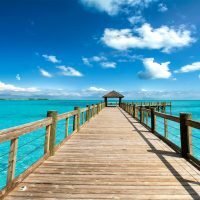 We’ve chosen our favorite all inclusive Caribbean family resorts for 2019, with popular destinations, family ratings, various budget ranges and consistent deals in mind. Plus, our editors and writers have personally visited these all inclusive Caribbean resorts and loved them as much as you will. Making our list for the sixth year in a row is the Franklyn D. Resort & Spa, an all inclusive Caribbean family resort with a playground, giant waterslide, swimming pool, kids’ club, teen program, kids’ buffet and a beachfront location, to boot. Plus, standard guestrooms sleep up to five guests (two adults and three children under age 16). The resort, located in Runaway Bay, Jamaica, is best known for its nanny services, which are complimentary to all guests and especially welcomed by parents who like to dine at The Pier Restaurant, an adults-only eatery with delicious fare. Windjammer Landing is located near Castries on St. Lucia’s stunning northwest coast. 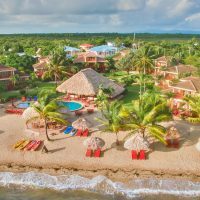 With its sandy stretch of beach along Labrelotte Bay and a hillside setting where the resort is nestled into the lush landscaping, Windjammer Landing provides a Mediterranean feel, not to mention a home away from home. With one- to four-bedroom villas that range in size from 1,200 to 3,600 square feet, families of all sizes can travel together and enjoy full kitchens, living spaces, large bedrooms and convenient amenities such as washers and dryers. 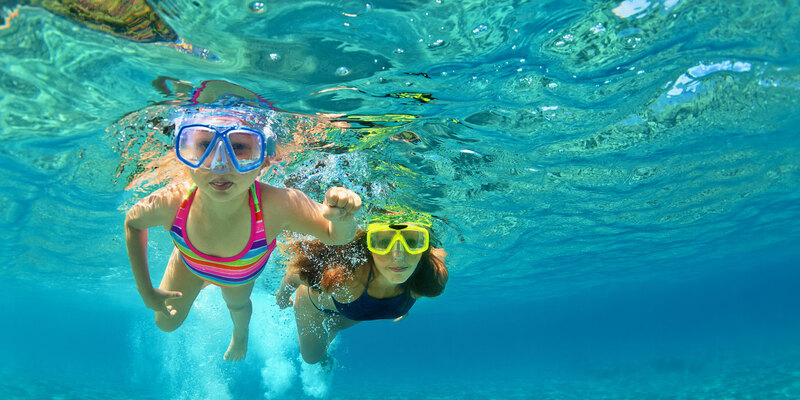 Of course, as an all inclusive Caribbean resort, it also offers kids’ programming, water sports and restaurants. 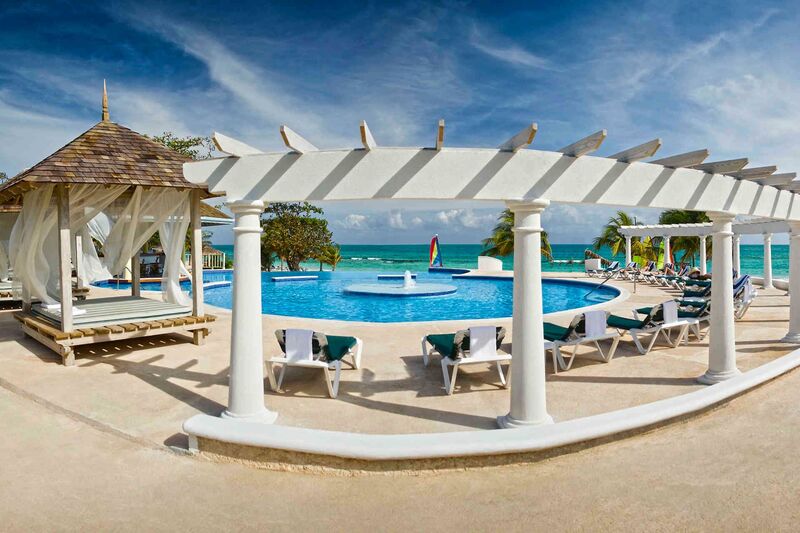 Yes, we’ve selected another resort in Jamaica — it’s tough to choose just one! Jewel Runaway Bay became an all inclusive Caribbean family resort in 2012 following extensive renovations to what used to be an adults-only retreat. It lands itself on our list with its children’s club (open to all ages), recording studio for teens (who walk away with their own CD), and a Laser Tag Ranch for the whole family to enjoy! The resort also offers family programming, such as Mommy and Me spa days, Father/Daughter dances, and parent and child golfing lessons. 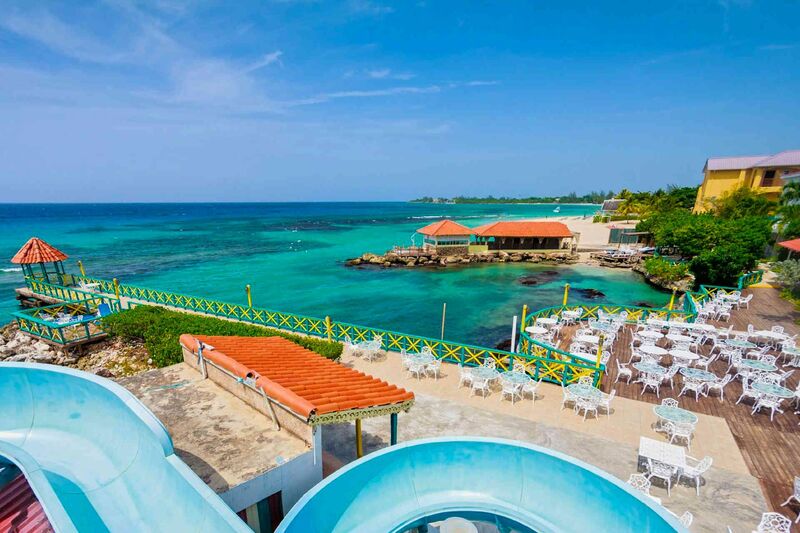 The all inclusive Caribbean resort also has Jewel Lagoon Water Park, which includes a lazy river, splash zone, family raft ride, zero-entry beach lagoon, restaurant, and giant sun deck. 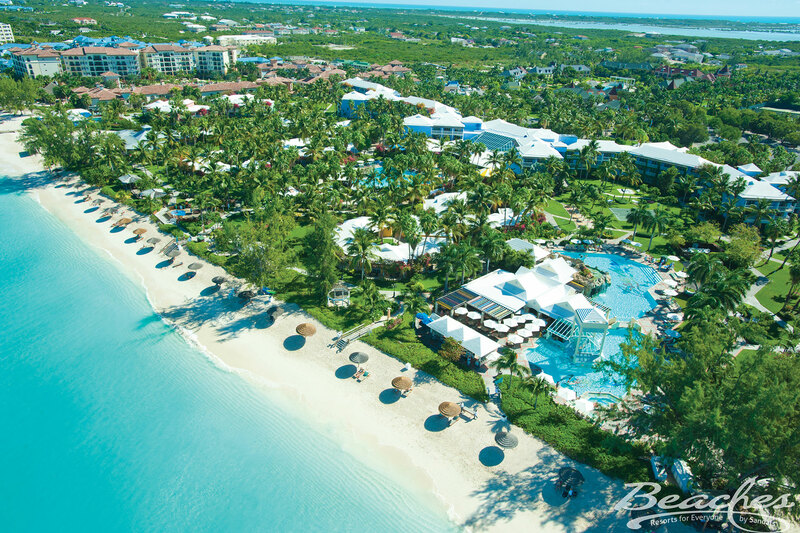 Ask any family which all inclusive Caribbean resort they’d like to visit, and they’re likely to mention Beaches Turks & Caicos. 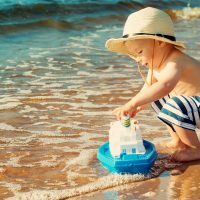 It is the top-rated all inclusive Caribbean resort on Family Vacation Critic, and with good reason(s): the all inclusive resort continually reinvents itself. Kids can easily spend an entire visit at the water park, which touts the SkySlide — the tallest of its kind in Turks and Caicos — as well as the hotel’s six swimming pools. There’s also a kids’ club, teen nightclub, nearly 20 restaurants, a scuba program and a wide variety of spacious accommodations, including Family Suites and Seaside Villas. We could keep going! What’s better than a traditional all inclusive resort in the Caribbean? An all inclusive NICKELODEON resort in the Caribbean! 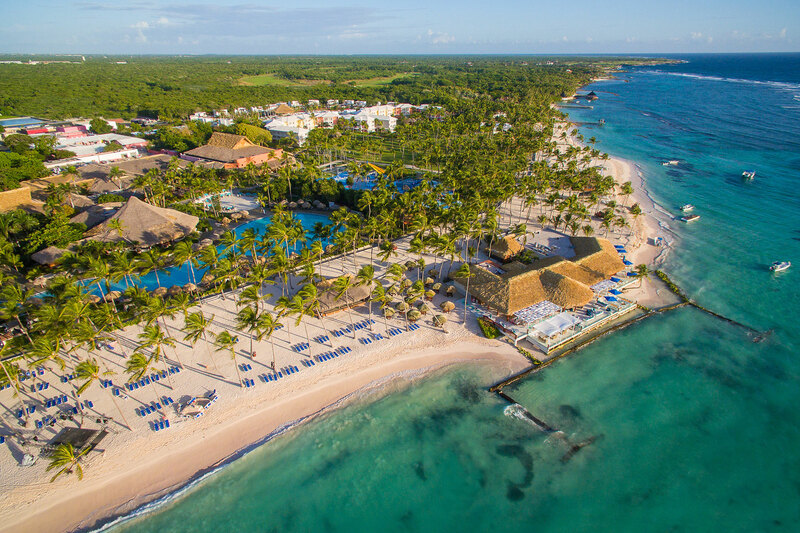 Opened in 2016, Nickelodeon Hotels & Resorts Punta Cana features Just Kiddin’, a playhouse for kids and families; Plaza Orange, where you’ll find live entertainment and organized games; and Aqua Nick, an outdoor water park. Character dining experiences are also included in rates — be sure to order a green slime smoothie! Accommodations include swim-up suites and The Pineapple — a villa inspired by Spongebob’s home! Coconut Bay Beach Resort & Spa offers family and adults-only accommodations and pools, making it a viable option for multigenerational vacations. It also houses St. Lucia’s largest water park, complete with a lazy river and two giant waterslides. Better yet, Coconut Bay Beach Resort & Spa offers a paintball facility, kite and windsurfing center, kids’ club and seven restaurants. It’s conveniently located just five minutes from the airport, too. 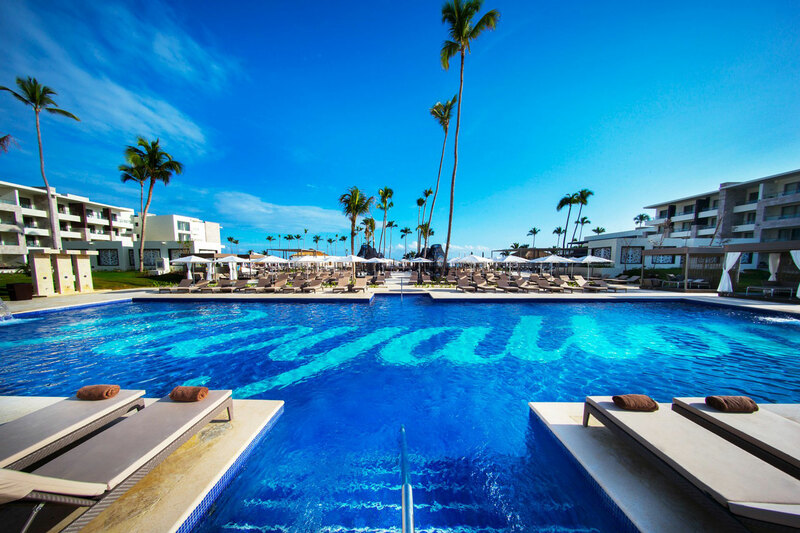 After a $36-million renovation, the Club Med Punta Cana is an all inclusive resort with some seriously fancy features. Situated just 10 minutes from the airport, the resort offers a circus school from the legends themselves, Cirque du Soleil. The stunning playground has five zones for creative play and adrenaline-packed stunts (all to the highest health and safety standards, of course), where children can spend their vacation learning how to become performers and acrobats on flying trapezes, use aerial silks, jump on bungee trampolines, and more. The rooms are bright and modern with free waters ports and recreation activities on offer for all ages. The fantastic Jewel Grande Montego Bay Resort & Spa is situated on its own stretch of oceanfront along Jamaica’s famous Montego Bay. There’s no need to traipse down to the restaurants each time you’re peckish, as fully equipped kitchens make the villas feel like home — but better, as the hotel provides private butlers! Villas also have washers and dryers. For entertainment, there are clubs for kids and teens, swimming pools, a fitness center and non-motorized water sports. Parents may be glad to learn that the spa on suite is top of the range, and that the all inclusive rates includes airport transfers. 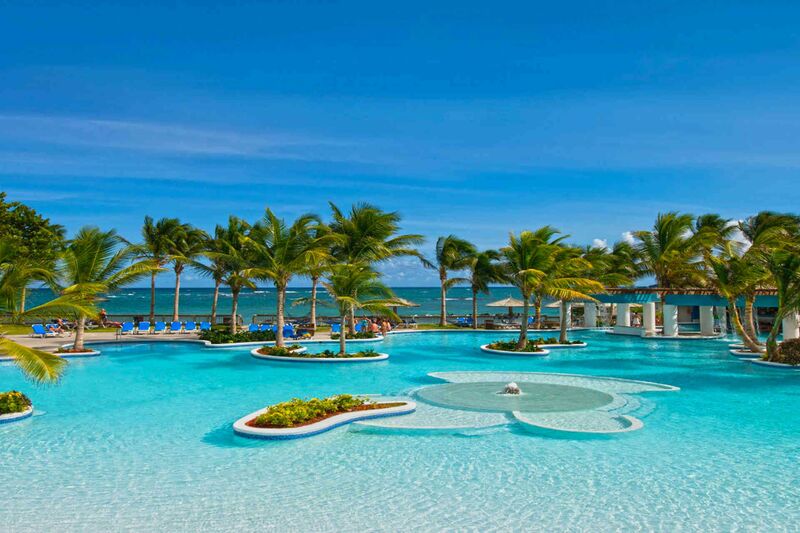 The Royalton Bavaro Resort and Spa opened in 2018 and has received many glowing reviews since. 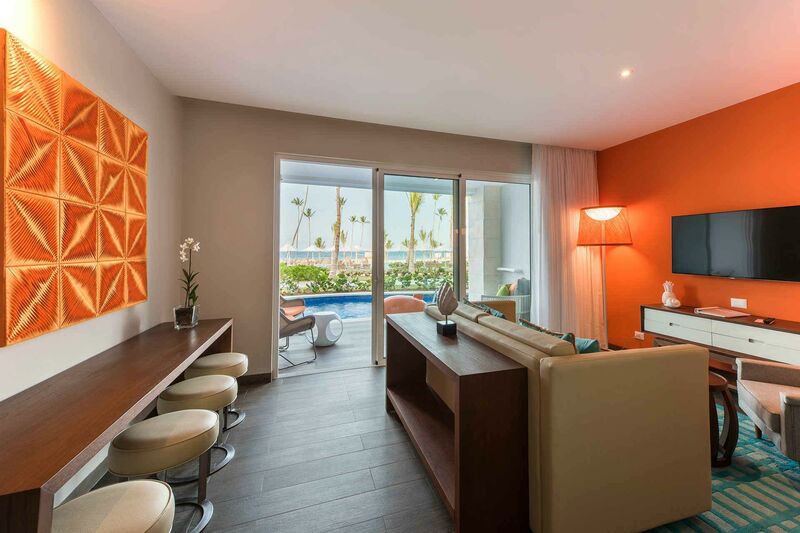 Located in Punta Cana, the resort features swim-out luxury family rooms with the largest being the Diamond Club Chairman’s Four-Bedroom Suite, which can sleep up to a whopping 17 guests! The Royalton Bavaro has plenty of entertainment for kids and teens with age-appropriate clubs, a lazy river, and a FlowRider surf simulator. Families will have the chance to enjoy quality time together through engaging, group activities such as cooking classes and organized games. There’s no need to fear buffet-burnout, either, as there are eight restaurants and a room service menu, available at all hours. 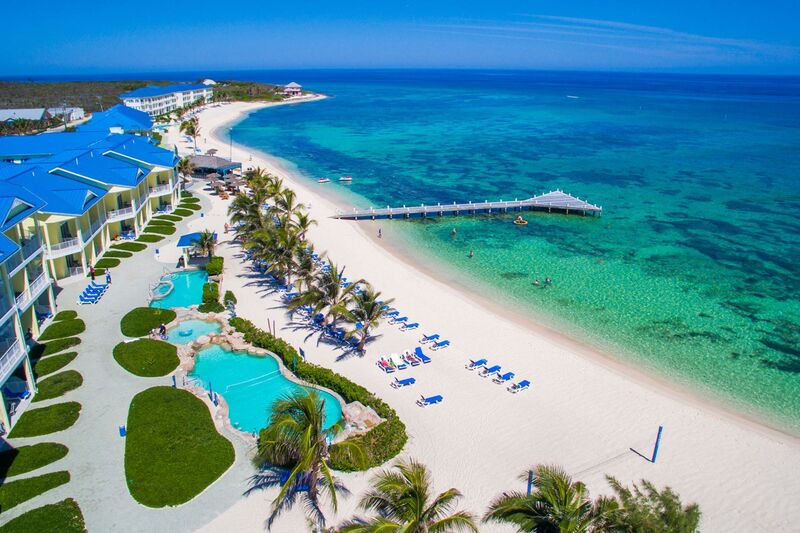 The only all inclusive resort in Grand Cayman, the Wyndham Reef Resort is tucked away on Grand Cayman’s East End, which is less crowded than the island’s Seven Mile Beach resort area. Here, the resort provides villas with fully equipped kitchens, living rooms and private balconies, all facing the Caribbean Sea. 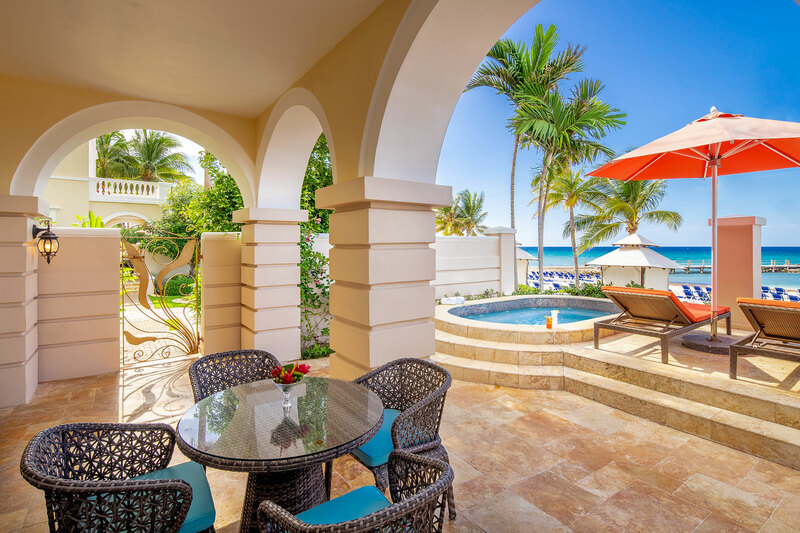 The resort offers a la carte pricing, as well as all inclusive options, with every guest enjoying three swimming pools, 1,600 feet of white-sand beaches and a number of ways to enjoy the water.